Marionette lines, which are grooves or furrows that run from the corners of the mouth to the jawline, can give someone a naturally angry or sad appearance, even when their face is at rest. Without the proper treatment, marionette lines continue to deepen and worsen over time. Botox and fillers are fantastic products that turn back the clock on facial aging. One of the only drawbacks of these injectables is that the results don’t last permanently. To maintain smooth, youthful looking skin with Botox or fillers, regular treatments are required. However, there are steps you can take to prolong the results of treatment with injectables. Dr. Samuel Pearl and Dr. Alexander Ereso share their best tips below. Too much exposure to the sun’s UV rays can reverse the effects of Botox and filler treatment and cause you to look older than you really are. Our plastic surgeons advise you to be diligent about protecting your skin from the sun, especially right after treatment. Wear broad-spectrum sunscreen with a Sun Protection Factor (SPF) of at least 30 whenever you go outdoors, and reapply frequently. For added protection, wear a wide-brimmed hat, too. If possible, avoid the peak sun hours between 10 a.m. to 2 p.m. Eating a nutritious and balanced diet is crucial to the health and appearance of your skin. Make sure you’re eating plenty of fruits and vegetables and sources of lean protein. Stay away from processed or sugary foods, which can increase inflammation to the detriment of your skin. 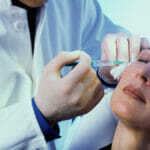 Some research indicates that getting on a regular schedule of Botox treatments may eventually extend the results. What happens is that over time, regularly scheduled injections “train” the facial muscles to contract less, resulting in fewer dynamic wrinkles. Eventually, patients can go longer in between appointments. The key is to work with your injector to find the right frequency of treatments to train the muscles without causing them to become resistant to Botox. Pharmaceutical-grade skin care products can protect the health of the skin and preserve the results of Botox and filler treatment. We encourage you to work with our highly experienced aestheticians, Sonja Cody and Carol McDonald, who can help you create or fine-tune your product regimen, making sure you use the proper moisturizer, sunscreen, serums and eye cream. The skin care products that we have available to you have been carefully chosen and selected to provide proven and long-lasting results. For more information about extending the results of Botox or filler treatment, and finding the routine and products that works best for you, please schedule a consultation at Pearl-Ereso Plastic Surgery Center. Call or email us today. Getting the best possible results from Botox requires more than just a single treatment. While you can see great results the first time you try Botox, you should make sure you’re taking the proper steps to make your youthful appearance last. At Pearl-Ereso Plastic Surgery Center, we’re experienced in using Botox to treat patients with frown lines and wrinkles. In this post, our expert plastic surgeons, Drs. Samuel Pearl and Alexander Ereso, explain how to make your Botox results last longer. Finding a doctor you trust may be the most important thing you can do to make your Botox results last. Choose a doctor with experience using Botox and stick with the same doctor for all of your injections. Your doctor will know your full injection history and the exact facial appearance you prefer. If you must switch doctors, be sure to tell your new doctor about your history with injectables. It often takes a little bit of experimenting for a patient to find the exact look they want to achieve using Botox. You’ll need to figure out which facial areas you want treated, how much Botox to use and how often to get Botox treatments. It’s also important to remember that Botox builds up over time. You may initially need four Botox treatments per year, but then require only two treatments per year after you’ve been regularly receiving Botox. The basics of skin care are still important to a Botox patient, which includes protecting yourself from the sun’s harmful rays. Once you’ve found a Botox treatment program that gets you amazing results, you don’t want to spoil it by spending too much time in the sun. Wearing hats and using sunscreen are vital to keep your skin healthy and protect the youthful appearance achieved with Botox. 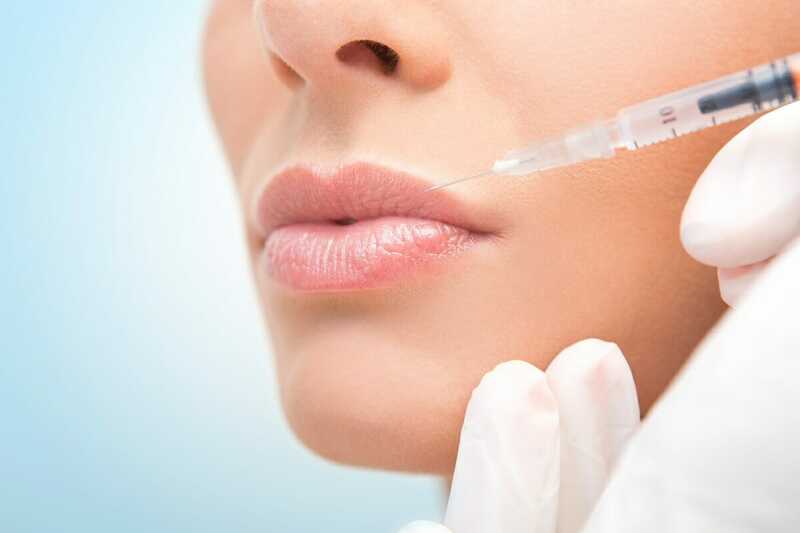 If you’re ready to begin a Botox treatment program, the skilled plastic surgeons at Pearl-Ereso Plastic Surgery Center can help guide you through the process. During your Botox consultation, they will provide information on the process of getting Botox injections and the results you can achieve. Contact our Mountain View office at (650) 964-6600 to schedule a consultation today. Although women have long been using cosmetic treatments to turn back the clock on their appearance, men are adding to this number in droves. In particular, the number of men having Botox injections in order to smooth out their fine lines and wrinkles has exploded, with a 310 percent increase from the past decade. Botox is so commonplace for male clientele that the term “Brotox” has been coined to describe the growing trend of non-surgical procedures for men. Dr. Samuel Pearl of the Pearl-Ereso Plastic Surgery Center explains the reasons why this this anti-aging cosmetic treatment has been on men’s radar. The unstable job market, especially since 2008, has increased many people’s level of anxiety when competing for jobs — or even keeping their current job. And according to a recent CNN report, nearly two-thirds of unemployed workers in recent years are 55 or older and have experienced difficulty when competing for jobs with younger contenders. 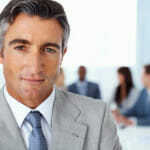 This age group, and even younger men in their 30s and 40s, are looking for any edge they can find in the job market, and are finding that looking younger and more alert plays a significant role in their candidacy. Many men use Botox to match their appearance to how young they feel inside. And with the increasing demands on men to keep up with their appearance, men who care for themselves with regular exercise and healthy diet habits often want a younger-looking face with less lines and creases to match their fit physique. It is undeniable how quick and easy a Botox treatment is — you can get rid of forehead wrinkles, the “11” lines between your brows and smile lines in less than 20 minutes! Because the treatment is so fast and there’s no downtime or recovery afterward, men can have it on their lunch break from work. And since the effects of Botox are natural-looking, men look younger and less tired, without anyone being able to tell they had work done. Are deep forehead creases or lines around your mouth and eyes causing you to look older or tired? To learn more about the Botox injection treatments offered at Pearl – Ereso Plastic Surgery Center, call (650) 964-6600.